Looking for holiday treasures and keepsakes? Mt. 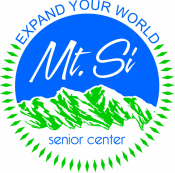 Si Senior Center's Holiday Bazaar features wonderful gently-used decorations, trinkets, and gifts. Our bake sale features amazing old-school recipes. It's a little bit of everything from a great many bakers sharing their family recipes with you. The Santa Breakfast is a community tradition. We've got pancakes, eggs, sausage and ham for you and the kiddos. What's more... you are bound to run in friends and neighbors. And last, but certainly not least, Santa is back! Children of all ages can share their Christmas gift list with Santa. Parents, you are invited to take your own photos. 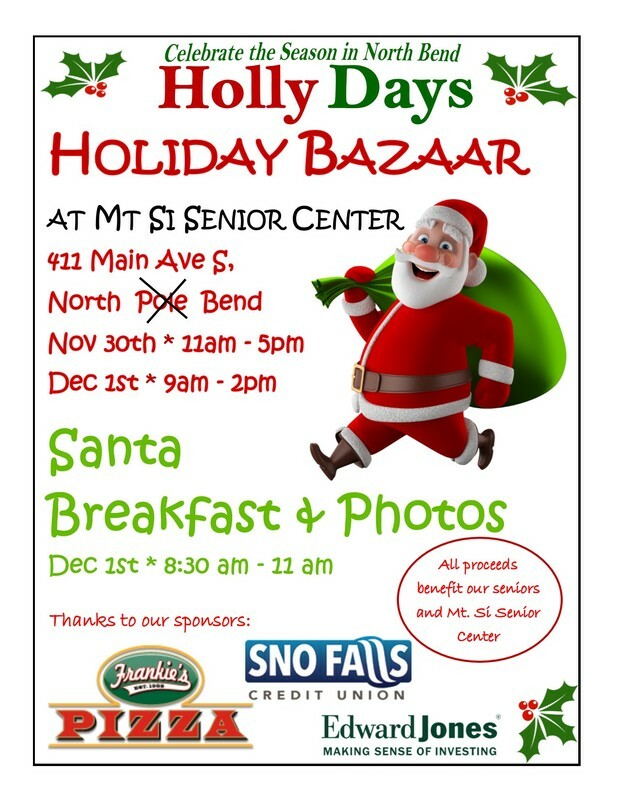 Admission is free to the bazaar and for Santa photos. Breakfast is $6 for adults, $4 for kids.